I’ve had it on my todo list for awhile, to write about this project. And really, the goal here isn’t necessarily to boast an exceptional job (it isn’t) but rather to simply put it down in the hopes that it might be helpful (maybe) for folks thinking about undertaking a similar type project. Formstone is somewhat of a regional phenomenon, and removing formstone from our rental property was one of our bigger undertakings this summer. As I got down to the business of writing this, I found that I had a lot to say. Both about the significance of its removal (and what went into it) as well as the projects’ significance for me, personally. Because of that, I broke this post into two parts. Part one, below, somewhat of a visual timeline. Part two, later – Costs of Removing Formstone and Related Tasks. Enjoy and you know you can always click on a pic to see it larger. This is a finish called “formstone” found on a Baltimore rowhome. 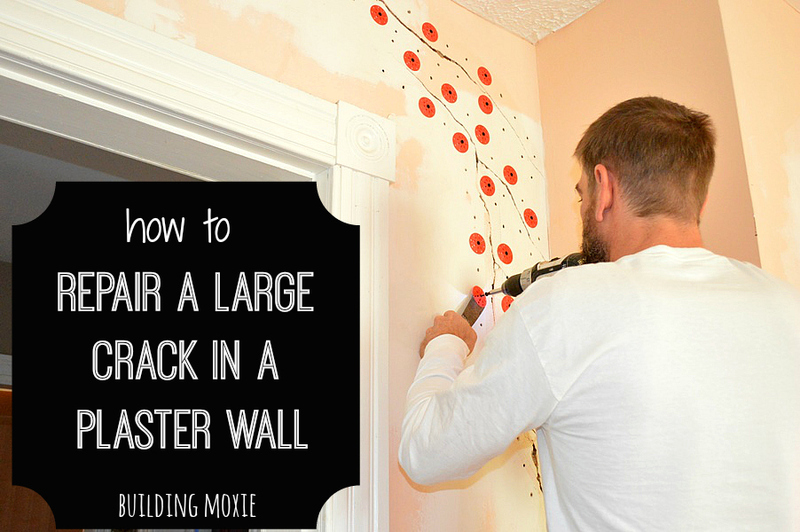 Filmmaker John Waters called it “the Polyester of Brick.” It is essentially a type of stamped concrete applied to a wire mesh that is usually adhered to brick. Here you can see some of the buckling at an upstairs sill. This wear is what finally put this project into motion. This was probably the beginning of Day 2. We had hired a mason friend to make it happen. 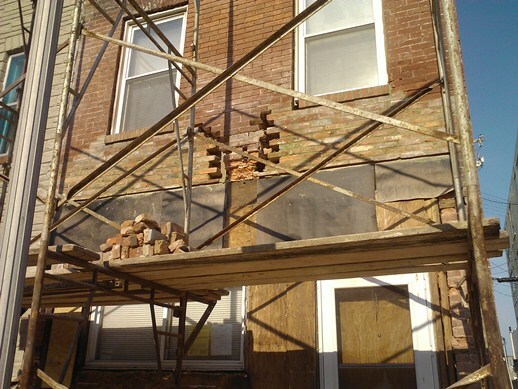 His crew removed the formstone from the lower story to reveal roughly six courses of crumbling brick. 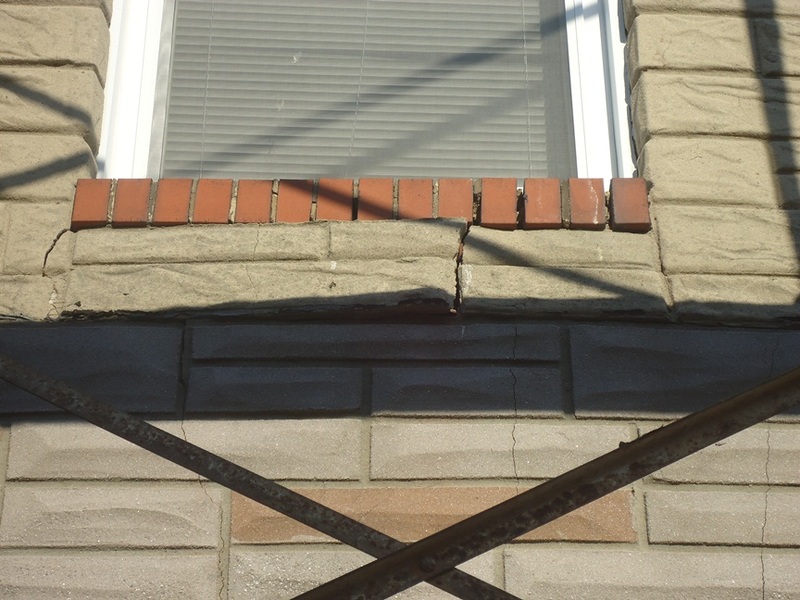 The mason felt this was likely due to water damage which occurred over time. 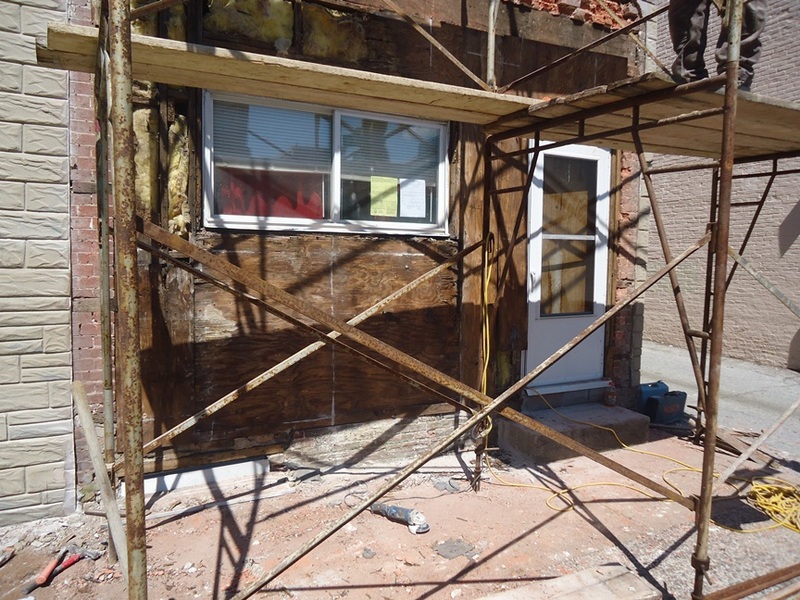 A one time store front, untreated plywood did not fair well below the “concrete” surface. 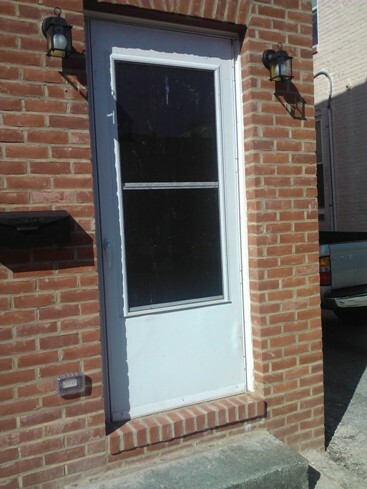 Odd slider window to be replaced along with sheathing (after of course the wall is re-insulated). 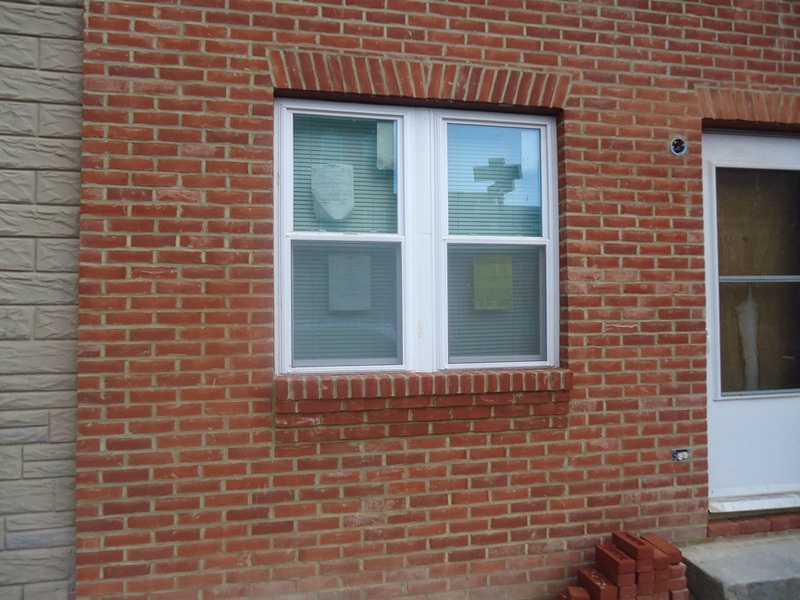 “Plantation Modular” selected as the brick that most closely matched existing brick. 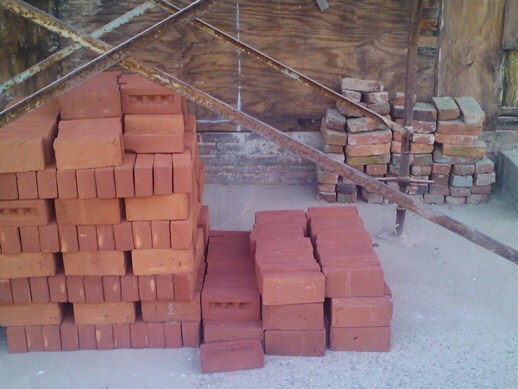 Salvaged brick to be used for patching damaged brick. 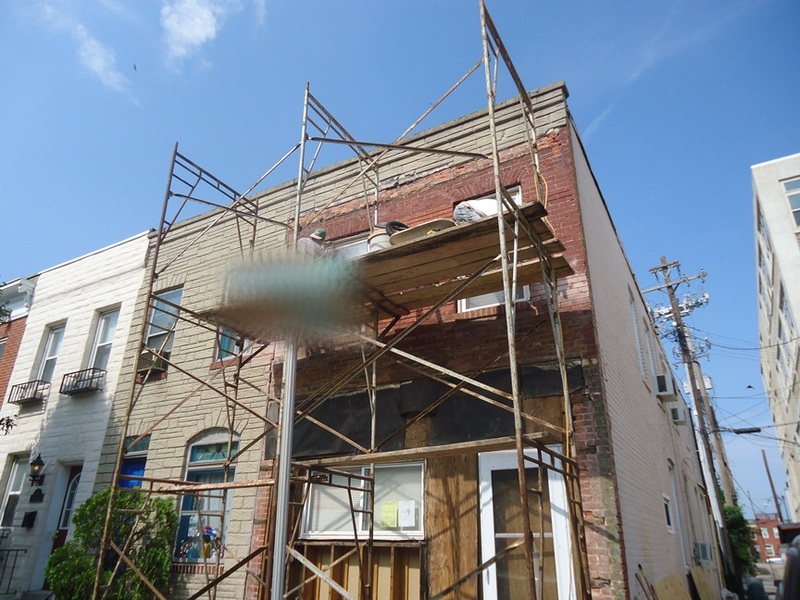 Unlike so many others, we were lucky that lead paint was not present. 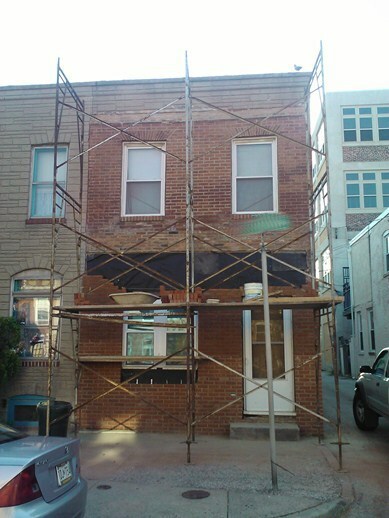 These bricks had never been painted. A least one angle grinder went to pasture in prepping the brick for re-pointing on the upper story. Patch was done outside in and worked out surprisingly well. I think the biggest area of surprise (for myself and the mason) was the solid block found (underneath the formstone) at the cornice. While the formstone peeled easily from most of the surface, here it was much more difficult to remove. 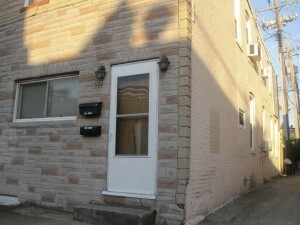 This is possibly the reason you see this “formstone top” condition occasionally throughout Baltimore. Existing window replaced with off-the-shelf models manufactured by American Craftmen (owned by Andersen) and found at the Home Depot. Two 28×54 windows were “mulled” (or ganged) in the field. 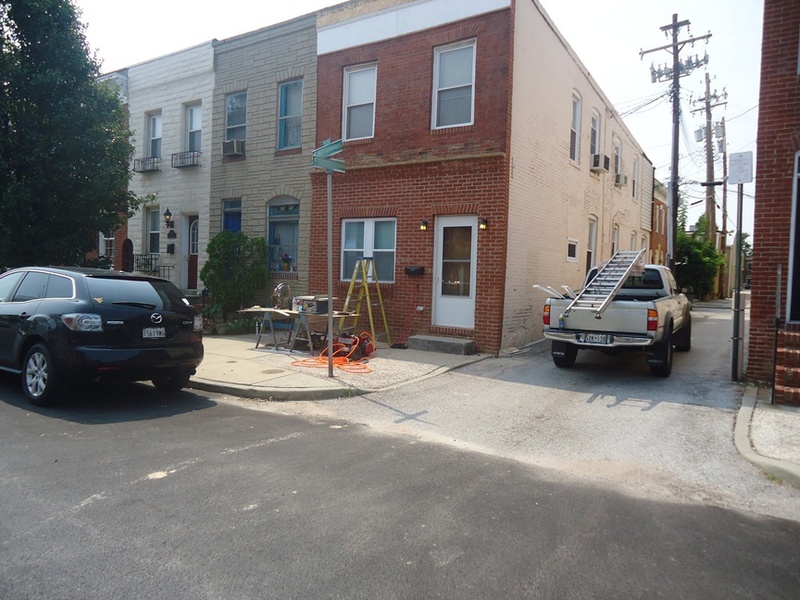 Fixtures rewired, including the addition of a street facing electrical outlet (code). 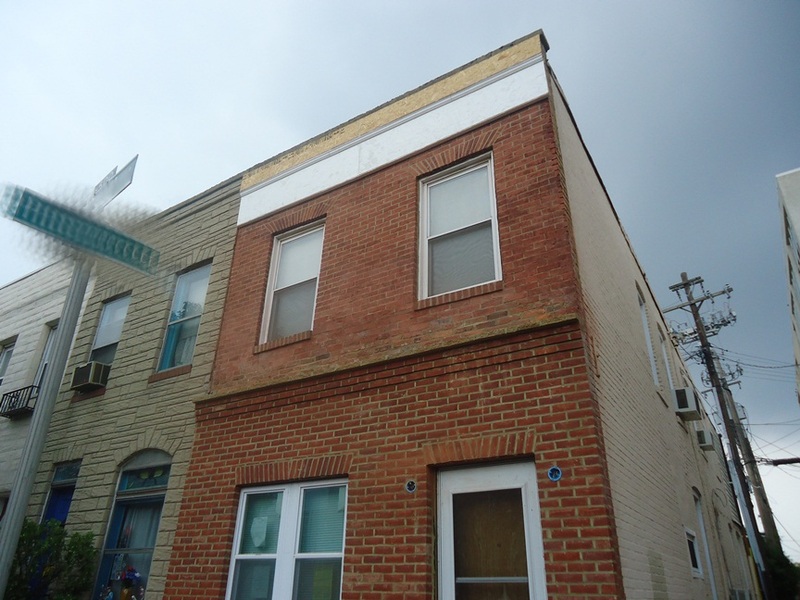 Standard #30 (30 lb) roofing felt used under the new facade on the first story. Header detail is a “Jack Arch” as a nod to the original arches on the 2nd story. A “bird’s nest” detail under the window gives it a sense of added height (to match larger second story windows). This was accomplished by holding each coarse out exactly 5/8ths of an inch. A shot from the first floor interior. 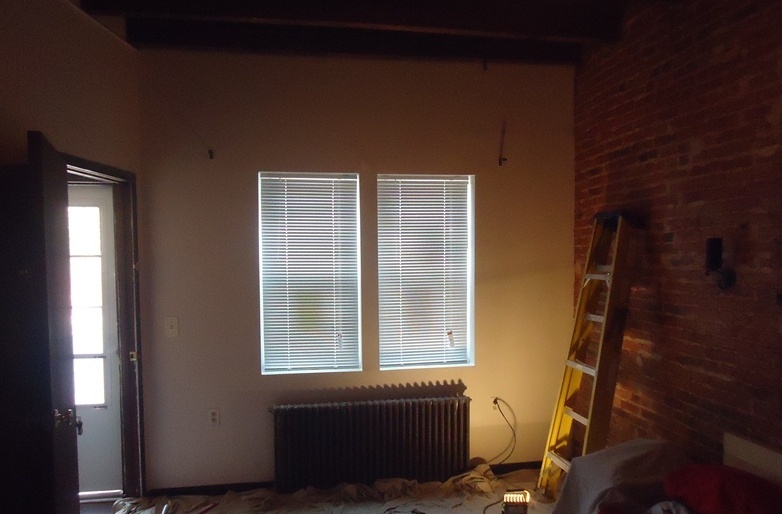 Window built with drywall sills to match the rest of the first floor. New windows ended up shorter on this story simply because I did not want to move the radiator that lived on this wall. 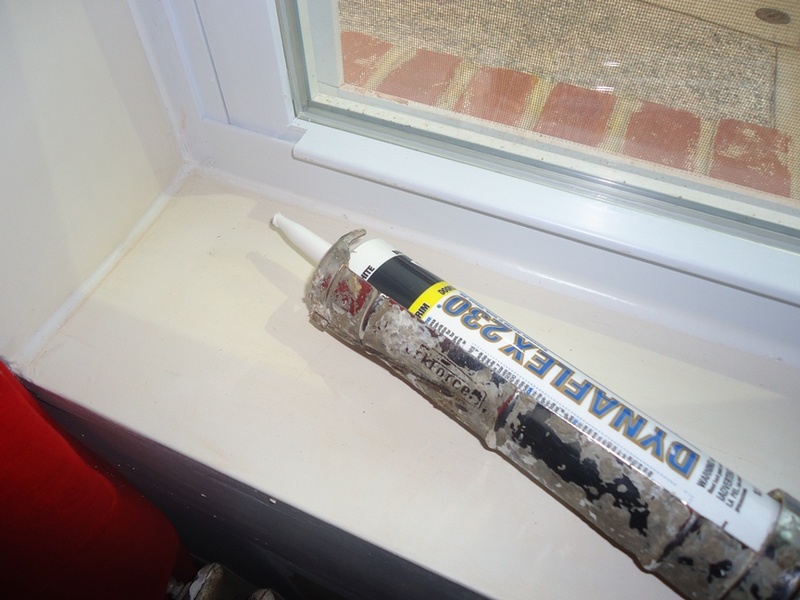 Dynaflex 230 from DAP Products used to seal at windows from the interior. After problems with our second carpenter this summer (this time over un-returned phone calls and the direction he was going with the cornice), I hopped into action. 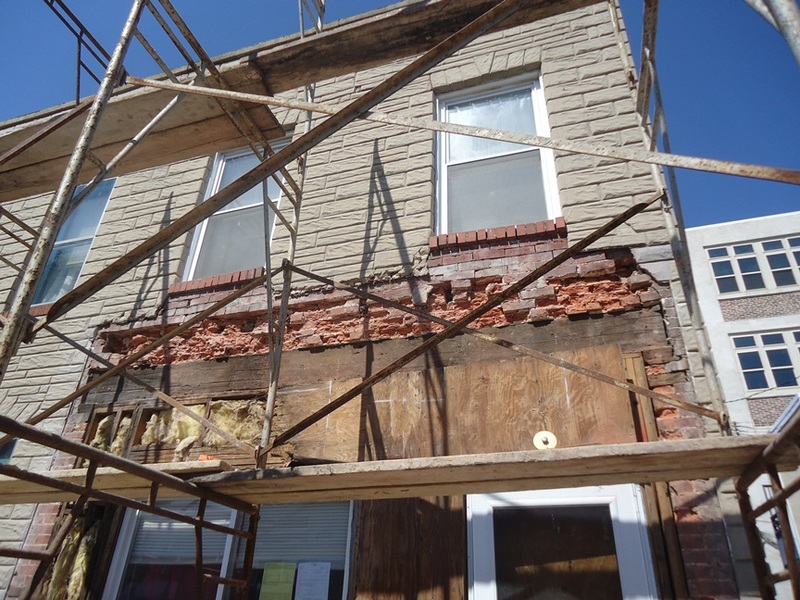 The cornice will wait to spring; upper story windows also need to be re-wrapped in aluminum. A skill I ultimately taught myself and wrote about in – Working with Coil Stock. As I noted in the comments for this post featuring friends at Crestview Doors, I painted the front door with a black gloss from Valspar. 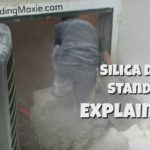 What is Silica Dust? Why Does Your Contractor Care? OSHA's new Respiration Requirements based on Common Tools and Tasks. Plus Tips for managing dust in Masonry (Brick, Stone, Concrete, etc.) Projects. Read all about the topic here. Great post Jb. I’ve never worked with formstone because it was not a prevalent material in the Northeast and it’s interesting to see other places and materials used. When you get to the metal wrap, you’ll find it isn’t as hard as it may seem with a good metal brake. Plus new learning is fun. 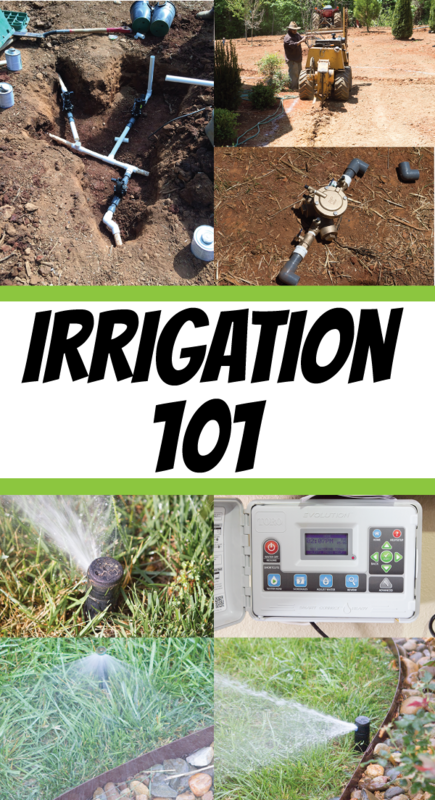 Learning is fun (this project was another good learning experience) and I have been toying with the idea of shopping a brake on say craigs list (I’ve had needs previously and I am sure I will have needs again) … we’ll see. Does really apply most specifically to those that live downtown here in Baltimore, but figure I had an obligation to cover it. cheers Todd and thanks for your support. Great story for newcomers in East Baltimore. Hmm, never heard of formstone until now. But I understand the whole “polyester of brick” description. Kind of reminds me of the scary aluminum siding they have in Boulder homes. The new version looks great! Good on ya! as I mentioned in the original post on this, entitled “the Polyester of Brick” … formstone was pretty well localized to Baltimore (installed from the 30s to the 60s). If I can get it finished I intend to do a follow up by the end of the week. 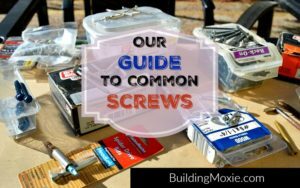 It is interesting to see how different home improvement “fads” took hold in different parts of the country throughout the 20th century. Cheers and thanks for being such a dedicated commenter.